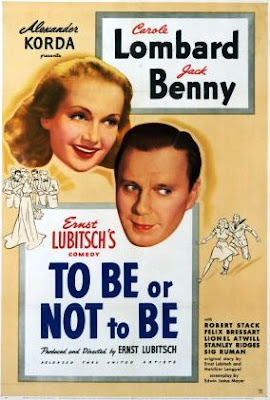 To Be or Not to Be (1942), starring Jack Benny and Carole Lombard, is one of the 1001 classic movies you should see. Each Monday, I'm going to recommend a classic movie you should see (for the reasons behind the 1001 series and reviews of earlier films covered go here). Throughout April, I'll commemorate the 400th anniversary of English playwright William Shakespeare's death (he died on April 23, 1616) with a look at some of the best old Hollywood films inspired by the bard's work. This week's selection is the classic comedy, To Be or Not to Be (1942), which is about a group of Polish Shakespearean actors who go undercover to foil a Nazi plot. To Be or Not to Be tells the story of Poland's greatest theatrical couple, Joseph and Maria Tura (Jack Benny and Carole Lombard). Their Warsaw-based troupe of actors is producing a play that exposes Nazi tyranny until Germany's invasion of their native land forces them to return to staging a stuffy version of Hamlet. However, after Maria becomes mixed up with a Polish fighter pilot (Robert Stack), the couple learn of a plot to destroy the country's resistance. Joseph, Maria, and the troupe members then decide to foil the German plot by dusting the mothballs off of their Nazi costumes and putting on the greatest performances of their lives. To Be or Not to Be was the brainchild of director Ernst Lubitsch, who was known for a particular brand of sophisticated comedy called "the Lubitsch touch." Lubitsch was a German Jew who had found success in Hollywood, and he wanted to make his own cinematic statement about the brutality of the Nazi regime. Lubitsch worked with his frequent collaborator Melchior Lengyel and playwright Edwin Justus Mayer to craft a screenplay that combined satire, political expose, and a spy thriller. To Be or Not to Be was not a hit in 1942 -- many critics felt its humor was in bad taste -- but it has since gained a strong following and is now considered one of Lubitsch's best films. 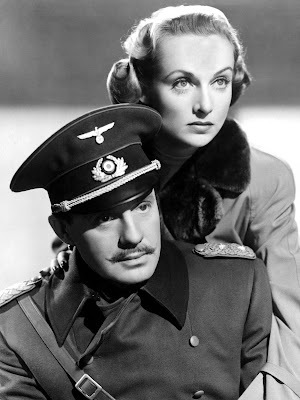 Despite the film's title, To Be or Not to Be is much more of a comedy about Nazism than Shakespeare, but Lubitsch and his fellow screenwriters still use the bard's work in clever ways. Benny plays Joseph as the ultimate hammy thespian, and his many performances of Hamlet's famous soliloquy are very funny. However, Lubitsch's best use of Shakespeare is Felix Bressart's recitation of Shylock's speech in The Merchant of Venice. The character of Shylock is a Jewish lawyer who rails against the antisemitism in Renaissance Europe with a famous soliloquy that affirms the humanity and dignity of his people ("if you prick us do we not bleed?"). Lubitsch uses this famous speech three times in To Be or Not to Be: the first time it's played for comedy, the second time it is a lament for the German army's destruction of Warsaw, and finally, in a powerful scene that is a direct confrontation of Hitler himself, it is a plea for justice. 1. Lombard. To Be or Not to Be was Lombard's final film. She was killed in a plane crash two months before the film's release, which may have been one of the reasons the film did poorly at the box office. 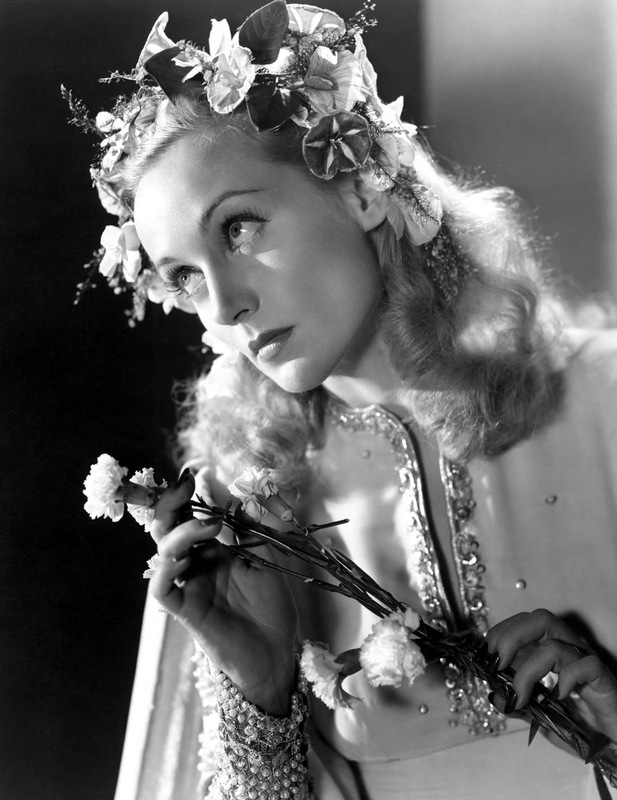 Still, To Be or Not to Be is a testament to Lombard's great talent. She gives a brilliant and very funny performance as a somewhat vain actress, who nevertheless, risks her life to save her country from Nazi oppression. 2. War drama. To Be or Not to Be is a laugh-out-loud comedy, but it is also a fairly engrossing thriller that looks forward to the many war dramas that would be made in the 1950's and 1960's. When Benny and company don their Nazi uniforms and bluff their way around Warsaw the movie feels very much like later World War II thrillers such as The Guns of Navarone (1961) and Von Ryan's Express (1965). 3. Black humor. To Be or Not to Be is filled with jokes about concentration camps and the Nazi invasion of Poland that 1942 critics considered tasteless. Today, the jokes are still pretty bold -- Lombard slinking into a room in a swanky gown and saying, "this is what I'm wearing to the concentration camp" elicits both gasps and giggles -- but Lubitsch's black humor led the way for many later movies such as Mel Brooks' The Producers (1968). 4. Rudolf Mate. The great cinematographer Rudolf Mate shot To Be or Not to Be, and his stylish black-and-white-cinematography is quite effective in a chase scene in a darkened theater. Other critics: To Be or Not to Be has a 98 percent fresh rating at Rotten Tomatoes, and Leonard Maltin calls it a "a superb black comedy" that gave Benny "the role of a lifetime" in a three and one-half star review for his Classic Movie Guide. Critics in 1942 were mixed on the movie's merits, except for Bosley Crowther of The New York Times, who hated it. He saw no humor in the wartime setting, writing that it was "hard to imagine how any one can take, without batting an eye, a shattering air raid upon Warsaw right after a sequence of farce or the spectacle of Mr. Benny playing a comedy scene with a Gestapo corpse. Mr. Lubitsch had an odd sense of humor—and a tangled script—when he made this film." However, New Yorker critic John Mosher liked the movie, especially the witty script. "That comedy could be planted in Warsaw at the time of its fall, of its conquest by the Nazis, and not seem too incongruous to be endured is a Lubistch triumph," he wrote. Carole Lombard dressed as Ophelia for To Be or Not to Be (1942). The bottom line: To Be or Not to Be is still an astonishing accomplishment more than 70 years after the movie was released. It is both a satire that punctures the silly pomposity of the Nazi regime and a powerful expose of the evil of Hitler's final solution. Availability: To Be or Not to Be is available for streaming on Hulu, Fandor and Shout! Factory. It is also available on DVD and Blu-ray. Next week, I'll begin May's theme of 1941 best picture nominees with a look at Citizen Kane.